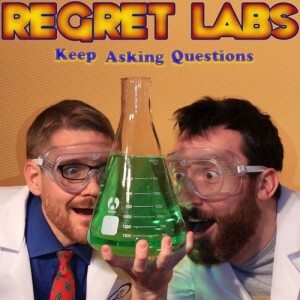 Greg Laden stops by the Regret Labs podcast to teach Aric and Levi about climate change. The information is equal parts terrifying and enlightening, because (spoiler alert) things don’t look good. But also, we are not helpless in making changes to improve our situation. Denialism, controversy, skepticism, and handling Twitter fights are also covered in this episode. Should this podcast episode be controversial? No. The science of climate change is grounded in well researched and peer reviewed studies. There can be a knee jerk reaction when listening to or reading anything about climate change. Hopefully the well stated information that Greg Laden provides will open some eyes and get our listeners thinking about the issue differently. Greg Laden can be found on Twitter at @gregladen, on his Science Blogs blog, his The X Blog information clearinghouse, or on Facebook. And finally, action items for Regret Labs listeners! Tweet, Facebook, comment, or email your responses. What errors did Aric and Levi make between the information they got in the interview and the information they reiterated in their wrap-up? And also, when is the last time you felt dumb? And as always, keep asking question. This was the first of your episodes I listened to. Overall, I liked it. However, I grew impatient during the first ten minutes. I think you should tighten up this part, and bring your guests on sooner. * I liked the way you talked about water vapor as a positive-feedback loop. Certain people delight in claiming water vapor overwhelms carbon dioxide, as if they were competing somehow, and therefore carbon dioxide doesn’t matter. Nope; they reinforce each other. * You grasped Greg’s point about real-estate values. That’s a point that I’ve seldom heard made. Finally, a geeky point: The podcast timer froze at 00:25:21. So did the progress bar, as far as I can tell. Christopher! Thank you so very much for the feedback! We love to hear suggestions (and what you liked about the show) as it helps us improve and make the podcast more entertaining and accessible. I’ll see what we can do to cut down on the openings, and get to the meat of the show a little faster. This is probably my fault, as the editor. I’ll see what spots can be cut in future episodes without detracting from the science or entertainment. Thanks again for listening and giving us your honest opinion! Glad you heard some new ways to think about the effects of climate change. Did you study hard in science class? Neither did comics Aric and Levi. 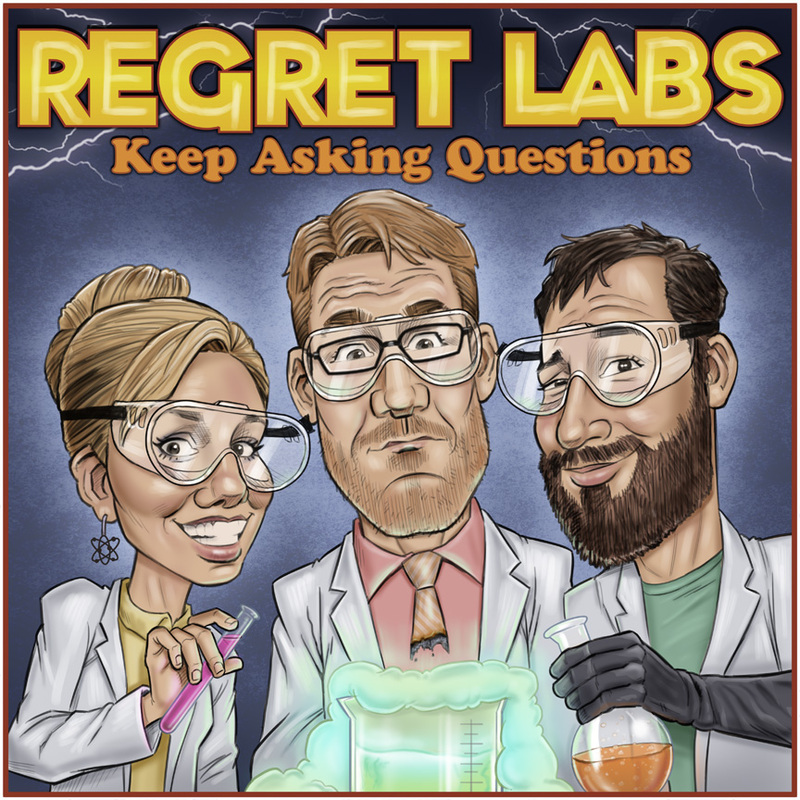 With Maggie to help guide them, the Regret Labs podcast is their attempt to make up for lost time. In each episode, they attempt to explain a scientific concept and then invite a guest expert to join them and tell them how very wrong they are. There's learning, laughing, science, and redemption. You may get a better understanding of the world or you may just get entertained. But you won't regret listening.